Thursday's announcement that G.I. 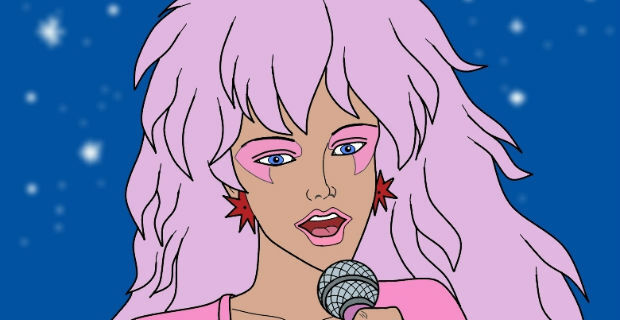 Joe: Retaliation director Jon M. Chu would be helming a live-action update of cult classic 1980s cartoon series Jem and the Holograms was met with a fairly even mix of elation and skepticism. Did April Fool's Day come early? Was Chu (who was and is contracted to direct the upcoming G.I. Joe 3) really going to bring Jem, Kimber, Aja, Shana, and Carmen to three-dimensional life? We now know that the answer to that question is a resounding yes, and there's even a video to prove it. Check it out above. For those unable to watch the clip, it features Chu, producer Jason Blum (Insidious, The Purge), and the man responsible for inflicting the music of Justin Bieber upon us all, Scooter Braun. The three men not only officially confirm the film's development, but also implore the fans to get directly involved in the process. Jem devotees are invited to offer their suggestions on everything from casting to wardrobes to storyline ideas on social media, as long as they make sure to include the hashtag #jemthemovie so that Chu, Blum and Braun can find it. Considering Chu had already taken several questions concerning Jem before offering that answer, the contextual assumption would be that Jem is in fact the "crazy little movie" he mentioned there. If that's the case, Jem would logically need to start and/or finish filming this year. While the scope and budget of Chu's Jem revival isn't yet known, one could surmise it will take a good chunk of - if not all of - 2014 to complete production. This would push likely mega blockbuster G.I. 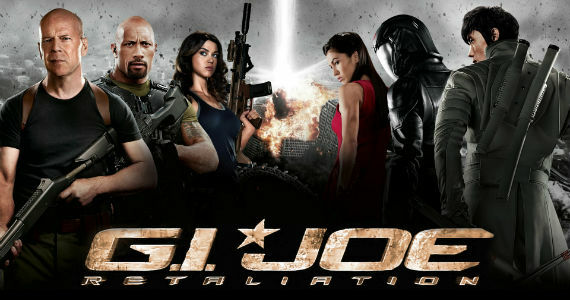 Joe 3's production to 2015, meaning audiences probably wouldn't get to see that film until 2016 or possibly 2017, depending on how long post-production visual effects work would take. While it's commendable that Chu wants the script to be "perfect" before shooting commences, such a long delay is unlikely to please Joe fans, who were told just a few months ago that the franchise's second sequel was the director's next project. It's impossible to be sure how much crossover there is between fans of Joe and fans of Jem, but the latter displacing the former could very well cause resentment between those two extremely devoted groups. The last thing the world needs is another fan rivalry. Things on this front will remain unclear until Chu decides to confirm one way or the other what his schedule for the next couple years is, but if Joe really does get bumped for the sake of Jem, fans are likely to find the prospect outrageous. Truly, truly outrageous. Both Jem and the Holograms and G.I. Joe 3 are still in pre-production and have no projected release dates.